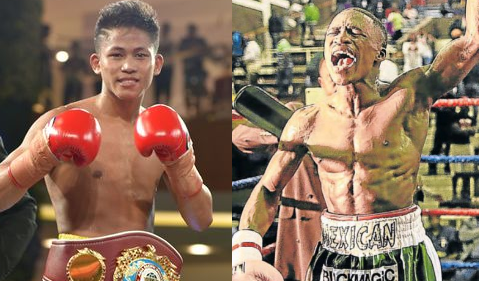 Sa matintinding laban na magagana next week, isa sa pinaka aabangang laban na dapat natin matungyahan ay na laban between Filipino prospect na si Jhack Tepora vs the former IBO world Featherweight champion na si Lusanda Komanisi sa September 22 in South Africa. Jhack Tepora ay isang undefeated at one of the best Filipino boxer in the featherweight division. This would be the toughest so far for the Filipino prospect. The experience of Lusanda Komanisi and speed surely can give a problem for the upcoming Filipino fighter. Kominasi defeated some of the formerly highly ranked fighters in his division including Roli Gasca, Macbute Sinyabi and Nkosana Sobethu. One more thing, it will be held in the hometown of the South African opponent, Jhack Tepora should score a KO for a decisive clean win. It is also the first time for Tepora to fight outside the Philippines. But anyways, this fight for sure will be a good and great fight, KO artist vs KO artist, hope Tepora can bring home the big W. Tepora will sure get more big fights if he can win.